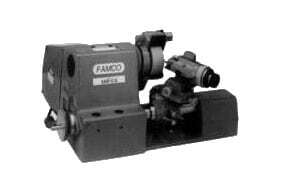 Famco is a leading manufacturer of mechanical shears for cutting metal, plastics, circuit boards, and other material types. 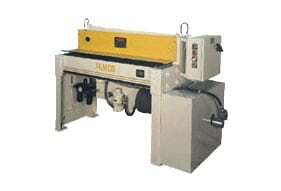 Since 1975, Famco has been the preferred source for high production mechanical, air, and hydraulic squaring shears. 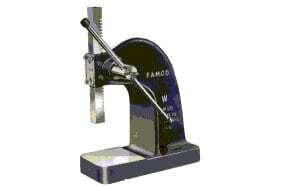 Since 1927 Famco has produced a variety of arbor, foot, and air presses. Famco is an American manufacturer of high speed cut-to-length shears supplied to large OEM builders that are well known throughout North America and the world. 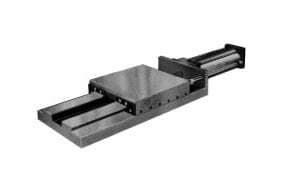 Milwaukee Slide & Spindle is another product line that encompasses precision standard and special linear slide assemblies. The Gorton/Lars product line, which is supported on a limited offering of engraving cutters, character sets, machine belts, engraving and cutter grinding collets.